What Makes a Solid Employment Contract? Understand the pros and cons of various compensation methods you might be offered in an employment contract. Many young doctors begin their professional lives as employed physicians, then transition into full or part owners of a practice. Deciding between employment and solo practice is a big decision. Whatever the choice, it has to be done right. What Practice Setting is Best for You? 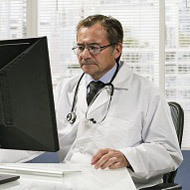 Traditionally, the sales price — or value — of a medical practice depends on the clinical specialty, the operating costs of the enterprise, and certain performance metrics. For the past 24 years, Van Mask, MD, has traveled throughout the United States as an emergency medicine locum tenens physician. He often calls the hospital parking lot home, living in his trailer before hauling his horse and mule to the next town needing his services. In late 2010, he was making arrangements to work holiday shifts at a Lubbock hospital emergency department when his life changed. 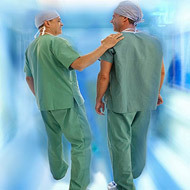 Got questions about Physician Employment in Texas? Call the Knowledge Center. 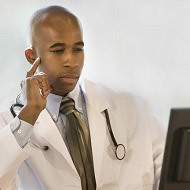 Physicians can get paid during credentialing. 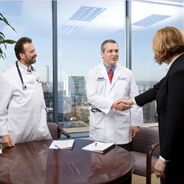 The Joint Commission (TJC), the Texas Medical Board, and other entities have standards that require physicians to maintain professional conduct and acceptable behavior and may discipline or take other adverse action against physicians who exhibit unprofessional conduct or disruptive or inappropriate behavior.